What is the WIMWA Resourceful School Speakers Initiative? 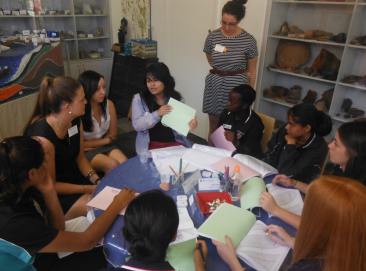 Positive female role models are important if we are to transform some of the preconceptions about who works in the mining and resource sector, both among the public, young girls, their teachers and parents. 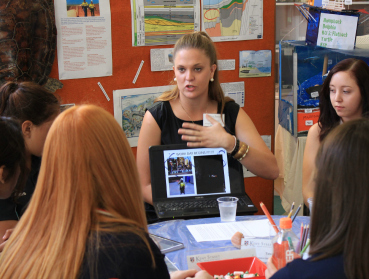 The Resourceful School speakers program aims to provide a free service with volunteers from across the mining and resources sector going into schools to talk about their jobs and the industry. The talk could be at an assembly, to a small group, as part of a career’s day. Anyone can volunteer – you can be a young apprentice, graduate recruit or an established professional – young people will benefit from hearing about your experiences. The range of roles available in the mining industry and resource sector are diverse and provide excellent opportunities for challenging and interesting careers for women. There are roles for women who are wishing to pursue a STEM career, and scientific university degrees such as engineering, Geo-science, and environment management are in high demand. Along with trade based roles, such as mechanics and electrician and the ‘Hard-Hat roles’ mobile plant operators and truck drivers. However, the mining industry is also engaging with advanced technology and the demand for IT and technology professionals is increasing. Finally, it is often overlooked that mining is “big business” which provides opportunities for a broad range of roles across management, commerce, law, human resources and health and safety. This link offers further insight into the range of roles available, and may dispel some of the commonly held stereotypes surrounding the mining and resources sector. If you would like to request a speaker to attend your school for a career’s day, a career education class, assembly or in a forum that suits your needs please complete the form found at the link below. The Request a Speaker Form can be found here. 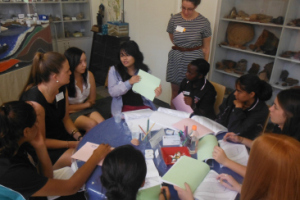 Engaging young people with the resource sector is extremely important. Students often say, that listening to or meeting an inspirational speaker has a major impact on their career choices. By talking to students about your resource sector career, you can introduce them to career options they hadn’t previously considered, or encourage those considering a career in the industry to pursue their goals. We understand that not everyone is confident at public speaking, while others will be delighted by the opportunity to address a large group, with this in mind we have taken care to provide options for you to engage with an audience in a way that suits you. The speaker registration form will provide you with these options. The Speaker Registration Form can be found here.